Those subs who believe their headlines should sing were out in force in April. Here are a couple of crackers that caught the eye. The Sun has a long track record of song title headlines, of course, but I can't imagine the Ulster Gazette uses many. When it does, it certainly does so in style. 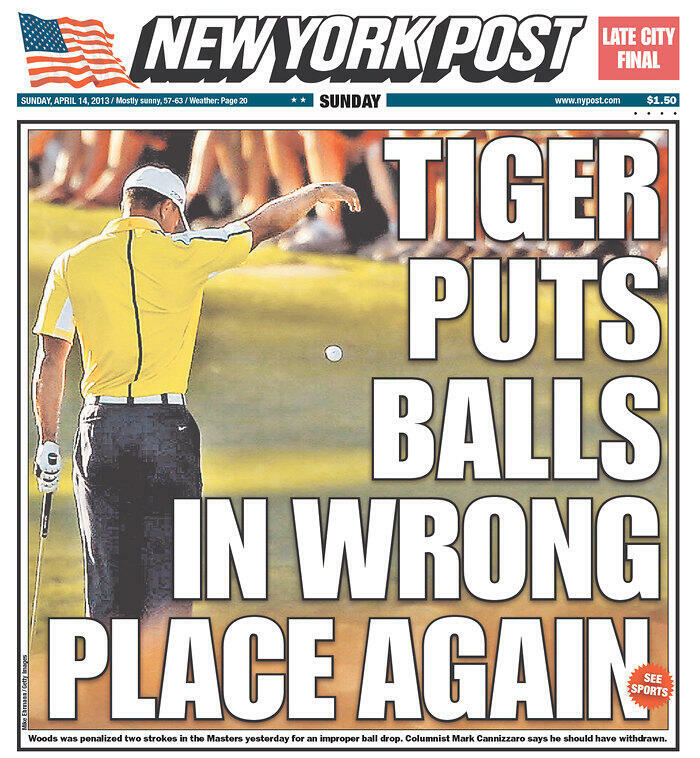 Meanwhile the New York Post refuses to shy away from being overtly tabloid - and shocking. Here is a headline to add to the growing collection to make you smile or, perhaps, wince. 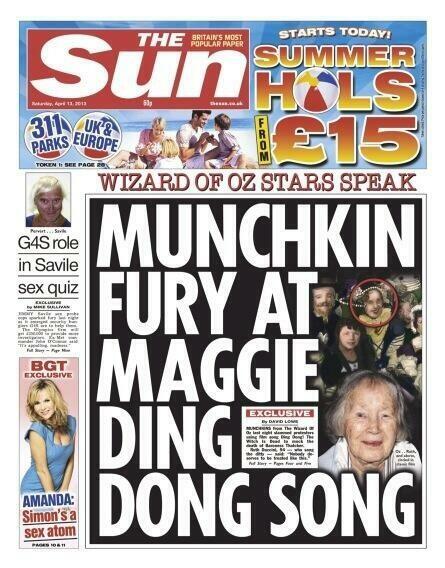 This though was perhaps the most astonishing front page headline of the month. 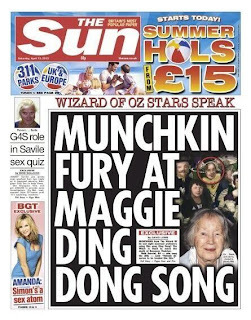 Who could have predicted The Sun (or anybody else for that matter) would come up with such a bizarre collection of words following the death of Margaret Thatcher. And if you are looking for headlines that 'build a picture in the reader's mind', this one from Mail Online takes some beating. Great blog, I love this blog because of many good reasons. Get Best Background Remove Service within your affordable price.